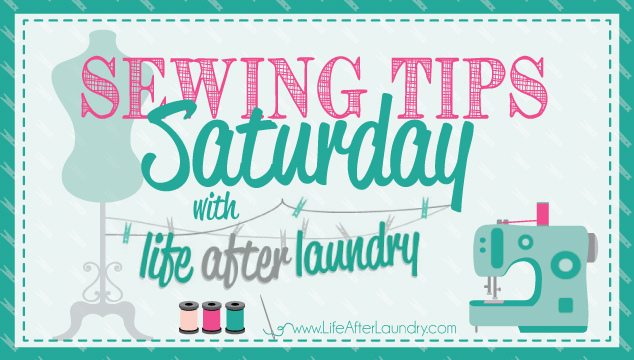 Sewing Tips Saturday is something that I have wanted to start for a long time now. I was waiting until I had so many weeks planned out, but excitement finally got the best of me and I decided to jump in. I hope you will enjoy joining me each week for a few tips I have found helpful in my sewing journey. This post contains affiliate links. Find out more on my disclosure page. The first and one of the most important tips I have is… Learn your Machine. Your owners manual is your best friend. I hear so many people who have sewing machines say they don’t know how to sew because they are afraid of their machine. There is no reason to be afraid of your machine, I promise. If I can do it, I know anyone can. The only way to get over that fear is to jump in. Read your manual, practice threading your machine over and over. If you can thread it with your eyes closed, you are getting somewhere. I find so many problems are solved just by re-threading your machine. It is very common for thread to slide out of its path, causing tension problems and knotting. Once you feel comfortable with threading and basic machine maintenance, it isn’t nearly as terrifying to sit down to sew. Besides reading your manual and practicing at home, I highly recommend taking a class. If you buy your machine from a quilt shop or dealer, it’s very common to get a free class with your purchase that goes over the basics of your machine, which is a great bonus if you are in the market for a machine. If you already have a machine and are looking to expand your knowledge, I recommend a free class like Sew Ready: Machine Basics from Craftsy. I also love the classes Sewing Machine 911 and Sewing Machine Feet from A to Z for learning more about your machine, its parts and troubleshooting. I have taken several classes from Craftsy and I’m hooked. It’s so much more than just watching a video, the instructors are fabulous and there are also ways to interact in the class. I love how it allows you to take notes in the classes and it marks the video where you did so. That way it’s easy for you to come back to the particular place you made the note. Do you feel ready to tackle your sewing machine yet? Trust me, you are only going to learn some things by problems occurring. I often say I have to learn everything the hard way. So, if you feel the same way, don’t worry, all of those problems build confidence later. Do you have a sewing question that you need help with? Leave a comment below and I will try to answer it in a future Sewing Tips Saturday. I have a sewing machine that I got when I was 14 or 15, I’m now 52. Jeez, how the heck did that happen. Anyway, mine needs to be serviced so bad. It’s never been done and my presser foot is broken. It still works, but it goes soooo slow. Great tip on getting to know your machine. It may be time for me to get a new one!!!! I love sewing! great article. This post is perfect for those considering buying a sewing machine. I totally agree about not buying a cheap machine. I had a cheap machine for years and didn’t realize how bad it really was until I bought a “real” sewing machine. Thank you for linking up to the Stitch It, Blog It, Share It Link Party.